Painter, designer, and educator, Barbara Gillette Price has had a varied and distinguished professional career spanning 60 years. 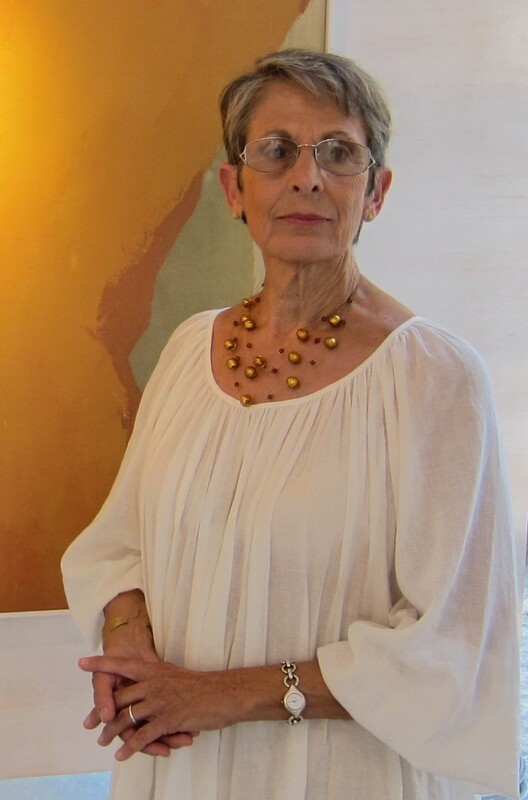 She has exhibited her paintings, works on silk and paper, and collages widely in Europe and the United States, including new work and an ongoing series of thematic retrospectives. Born in Philadelphia, Pennsylvania, she studied art during her formative years winning a Board of Education scholarship to study at the Philadelphia Museum School of Art (University of the Arts). She married the abstract expressionist painter Melville Price and relocated to the University of Alabama at Tuscaloosa where he served as artist-in-residence. Barbara Price earned a BFA and MA at the University of Alabama. During her 13 years in the South, she and Price were very active in the Civil Rights movement, which is reflected in her paintings and drawings of the time. On sabbatical leave in 1968, the couple made an extensive research trip to Spain that left an endurable impression on her artwork. Following the death of her husband in 1970, she began teaching at the Corcoran School of Art in Washington, DC. where she became involved in the Woman’s Caucus for Art and produced a body of work which focused on eroticism from a woman’s perspective. In 1978, she took the position of Dean at Cranbrook Academy of Art and helped spearhead the development of the Arts District of Pontiac, Michigan. In 1982, she accepted the position of Vice President of Academic Affairs at the Maryland Institute College of Art. During her 13 years in Baltimore, she was responsible for introducing innovative changes to the arts curriculum, initiated international programs, developed an artist studio complex, and showed her paintings in numerous galleries. She accepted the position of President of Moore College of Art and Design in 1994, returning to her hometown of Philadelphia. She was responsible for raising the standards and sights of the only art college for women in the United States, reaffirming its historic mission. In 1998, Barbara Gillette Price retired from academic life and moved to Southern Spain where she established a design studio and art gallery to devote herself entirely to her creative work and exhibitions. 2008 – Present Arts Specialist for the CEIP Primary School in Santa Cruz del Comercio Granada, Spain. Teaching art in the classroom and conducting after school art programs. Organized a mural project with the students of the primary school in collaboration with the department of Art Education graduate program at the Moore College of Art and Design, executing three large murals in the school patio. 1975 – 78 Corcoran School of Art/Summer artist in residence program in Union, Maine.